Club Rules (English and Polish). There was a time - not that long ago - when it would have been unimaginable that South East Northumberland would one day be home to one of the most successful course angling clubs in Northern England. They said it couldn't be done, which goes to show you just how much "they" know!. Now 20 odd years since its founding, and many hundreds of happy members later, we Wansbeck and Cramlington Angling Club (WACAC) - continue to go from strength to strength. The reason? 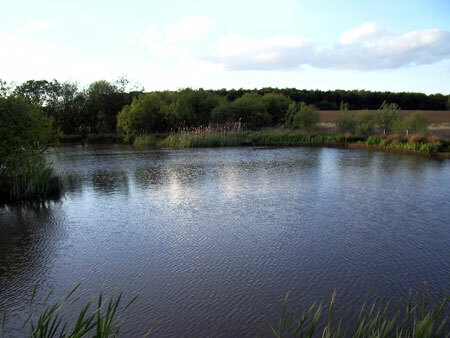 Simply the fact that we have some great waters and great fishing to offer (and of course we owe Wansbeck District Council a great debt in that regard, because its thanks to WDC that we have the QEII). Given the previous dearth of quality course fishing in this part of the world, it is to WDC's credit that they have always been as supportive of the club, and - along with our other landlord the Blagdon Estate - have made a great many anglers very happy, having given them an opportunity which previously just did not exist - the opportunity to catch good fish in wonderful surroundings, without having to travel many tens of miles for the privalege. Thats a big thing and something to be proud of. We hope you like what you see, and consider becoming a member. Click on the above graphic for a local 5 day forecast.